autumnal › Buy Poster of Background of colorful autumnal leaves in the grass. Golden autumn. Green meadow covered with fallen leaves. 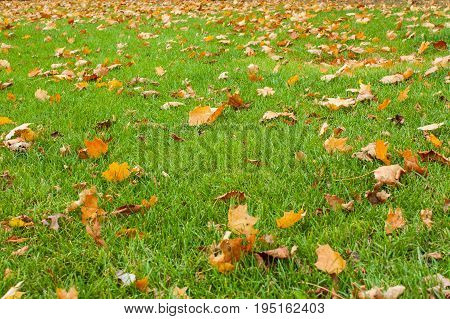 Falling maple leaves and green grass on ground. Autumn leaves on lawn. Background of colorful autumnal leaves in the grass. Golden autumn. Poster of Background of colorful autumnal leaves in the grass. Golden autumn. Green meadow covered with fallen leaves. Falling maple leaves and green grass on ground. Autumn leaves on lawn. Background of colorful autumnal leaves in the grass. Golden autumn.